I am still a little blue my Mom has left. I keep thinking she’s just down the road, at the patisserie, buying a slice of cake (or four) and she’ll walk through the door any minute. She was my rock: cheering me up when I felt useless, making me laugh when I felt stressed, and dreaming up future projects when I felt crafty. Today is her birthday. 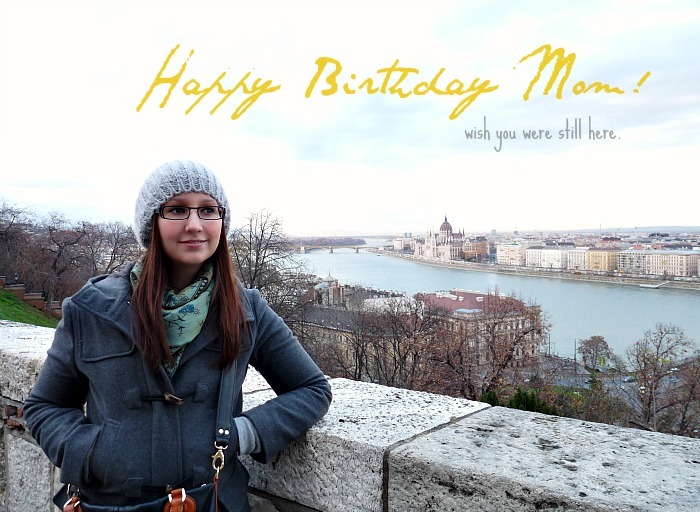 Other than copious amounts of pre-birthday cake, and slipping a card into her suitcase when she wasn’t looking, I didn’t have a gift or anything ready – not that my Mom is really into gifts. But I’d love to have been able to give her something really awesome, to also say thanks for giving up three months to come to Hungary with me, like maybe . . .
1. Some art, painted with love. Mom is in the process of renovating/re-decorating her home and, in a movie-perfect-world, it would have been so exciting to whip up a perfect abstract painting (she likes moodier art than me), and hang it in place overnight for a birthday morning surprise! Hmmmm, maybe for next year? Okay, shhhh, don’t tell her about this idea. 2. 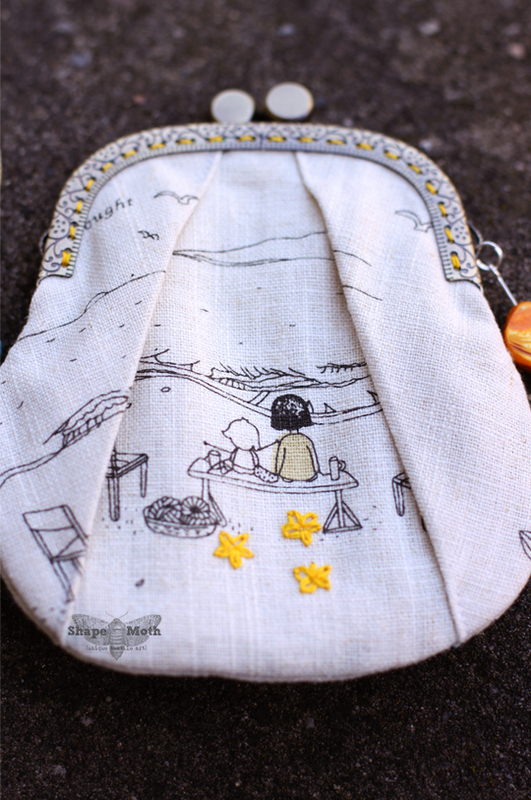 An embroidered change purse, hand-sewn with love. My Mom had planned to make an embroidered change purse while she was here, but there were some bumps in the road. I’m terrible, because I (with love) made fun of her grand ambitions relentlessly. I was able to do some of my embroidery (an update soon), but not all of it – yet. It would have been such a sweet idea to surprise her with a change purse I secretly DIY’d, but that would have required a lot of sneaking around. A time machine. Possibly some bathroom embroidery, because the apartment is smallish and offers few private spaces. Oh, and I would have needed to have made peace with sewing. In truth, she probably would have just preferred I stop teasing her about the change purse that never materialized! 3. Highfalutin European cake, baked with love. Our pre-birthday cakes were not baked by moi. One year, though, I’d love to try my hand at whipping up a cake as good as what we had here. I am worried what practicing this art will do to my waistline, though. 4. 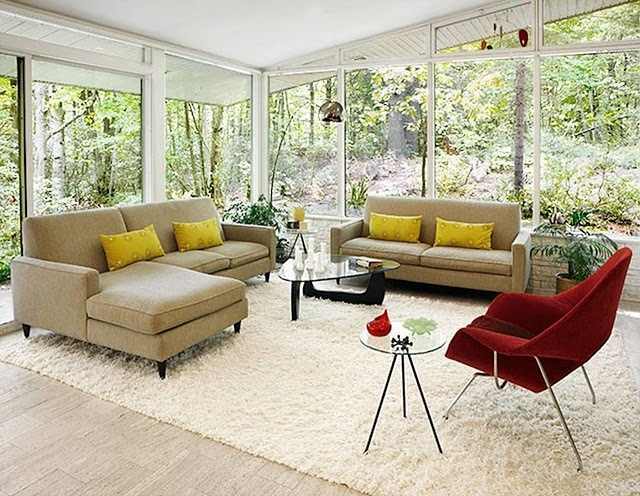 Floor to ceiling windows, wished for with love. This is, technically, a virtual gift list so let’s go big! I think my Mom would be totally happy without the change purse and cake (although, she really likes cakes) if I could give her a space with windows like this. 5. A dream bathroom, designed with love. 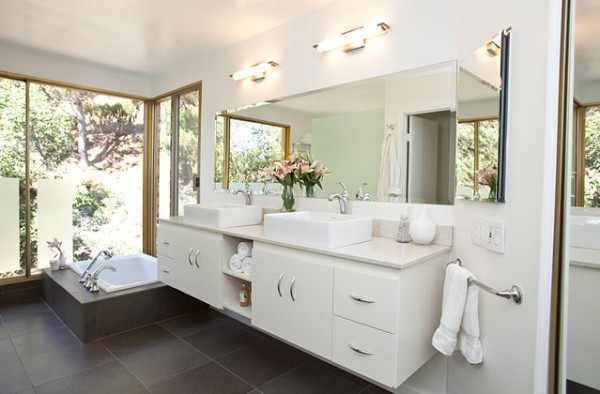 Along with the windows, I can only imagine my Mom’s ear to ear grin with a bathroom (her next makeover project) like this one. Of course, this particular room would take up at least a third of the square footage of my Mom’s whole house. This list got grand, fast. I need to win the lottery . . .
Happily, though, I know just loving spending time with her is gift enough. Most Moms just want their kids to love them and enjoy their company, right? That hardly seems like a fair gift, though, because I think we’re both lucky to get along so famously. Previous Post This Will Make You Laugh. Promise. I think we're all waiting for the wall-to-wall windows in your condo, lol. My place, what with being connected to a bunch o others, can also be a bit dark in some rooms. I think the whole world could benefit from more sunshine in our spaces!!! Thank you, my little Sweetheart. I miss you so. Love, mom. Is someone enjoying their new tablet?!? This is the sweetest thing! It makes me sad that you had to say goodbye to your mom. As you said yesterday, not many adult women have a chance to live with their mom, again- at least willingly 😉 That was a gift, also. That last photo of you is so lovely!and your mom's comment above broke me- I'm tearing up. But I'm glad you can look forward to your hubby arriving soon! I was thinking about that – how some women DO get a chance to live with their Moms again but not under ideal circumstances. That's why this was so fun and definitely unusual!! I am looking forward to Hubby coming for a visit. I need to put on my tour guide hat and show him some sights! !My Mom's comment is cute – I didn't even know she had had a chance to take a peek until just now.